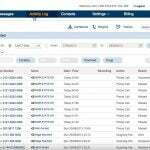 A cloud-based phone and video platform provider, with decades of experience in the industry, RingCentral has a range of packages depending on company need. 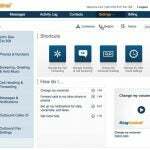 RingCentral offers packages both annually, and monthly, with a 33% discount if purchased in advance. RingCentral has over twenty years experience in the VoIP space, and offers a wide range of voice and video cloud-based solutions to suit your business. It offers integration with essential software packages including ZenDesk and Salesforce. However, this is integration is not unique to RingCentral, and many reviews say issues have arisen upon installation, so do your research before making the call. 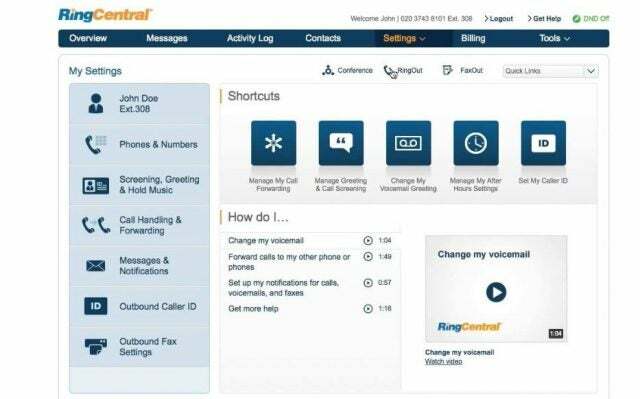 RingCentral offers four main plans, all of which share many features. The Essentials plan is the most basic, though it doesn’t skimp on options. For $19.99 per month, per user, your company enjoys call management and phone administration, which includes call forwarding and transferring, as well as intercom and paging capabilities. Next up, the Standard plan adds an auto-attendant, internet fax and call log reports, for $24.99. However, neither the Essentials or Standard plans include Salesforce integration or call recording. To upgrade to those features, you should choose the Premium or Enterprise plans. These offer a more dynamic phone service, but are slightly more expensive. Premium is $34.99 per user, per month, and Enterprise goes for $49.99 per user, per month. The key differences in all of the plans comes down to toll-free minutes and HD video conferencing. The toll-free minutes per month for each plan breaks down in the following way: 100, 1,000, 2,500, 10,000. Clearly, there’s a significant jump between Premium and Ultimate. Brands who skirt the area in between will want to figure out how to reduce their voice usage, or how to more effectively build it out. As for HD video conferencing, RingCentral charges by the number of users. In the Standard plan, 4 people can participate per conference from their desktop or mobile device. The Premium allows for 25 people, while up to 50 can be connected with Enterprise. 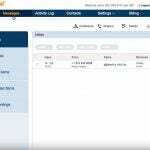 One of the advantages of RingCentral’s software is that it can be integrated with some common office applications that you may already use. For Microsoft Outlook, you can directly consolidate voice and fax messages by forwarding them via email to colleagues and clients. Meanwhile, RingOut lets you click to call a number from an Outlook contact, web page or document. Without the use of additional software, you can connect your RingCentral service with your Salesforce platform, allowing you to send and receive calls from your CRM account. 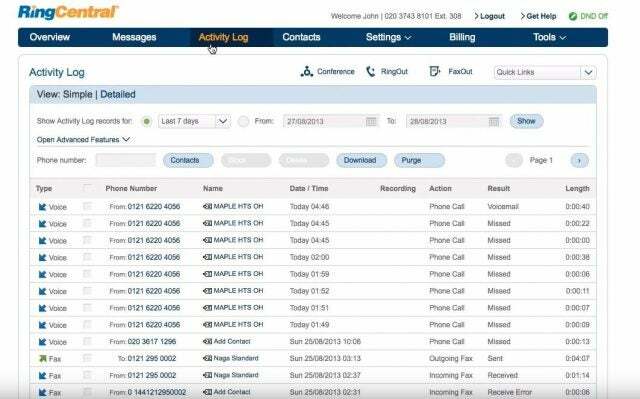 Additionally, with RingCentral’s call management, you can match incoming calls with existing client contact info within Salesforce, and take automatically-saved notes while on the call. For its phone selection, RingCentral partners with other major telecom providers. They offer a range of IP and receptionist phones, as well as conference and standard desktop devices. The Polycom VVX-411 is a popular IP phone choice for use with RingCentral VoIP. It includes speakerphone, backlit LCD screen, and allows for up to 10 users on the display. It also comes with a 2-port Ethernet switch that lets your phone and PC share a single network connection. The VVX 411 is $13 per month. The Cisco SPA514G is another popular choice. It has an advanced receptionist console with HD audio and an Ethernet port, allowing you to connect to a computer or other device. It only has 4-line keys but comes with expansion modules to monitor the phone presence of other colleagues. The SPA514G is $12 per month. The Polycom VVX-601 is one of the higher end models that comes with a higher price tag as well. It comes with native Bluetooth, a touch-enabled screen, and 16 lines, including two phone lines and 14 lines supporting presence. The high quality audio and the crystal clear screen make communication easy. The Polycom VVX-601 is $21 per month. The Voyager Focus UC is a stereo Bluetooth headset that can be used with laptops, mobile phones, tablets, and most importantly, Bluetooth-enabled desk phones. It provides comprehensive noise cancelling technology, and comes with features like Dynamic Mute Alert, which alerts you when you’re talking on mute, and smart answering, which automatically answers calls when you put on the headset. The Blackwire 725 is a corded headset option that is also equipped with features like smart answering and mute alerts, but is tethered to your phones with an AUX cord. It is, however, equipped with a handy remote, that will make pause, muting, and generally using the headset a bit easier. The Savi 700 Series is a Bluetooth-enabled headset that allows seamless switching between desktop, mobile, and desk phone audio. It’s missing some of the features found in the other headsets, but makes up for it with the convenience of three-way connectivity and its 350 feet of wireless range. Communicating with your team is one thing, but managing the expectations of your customers is another branch of your company entirely. RingCentral have designed the Collaborative Contact Center to put all your customer service operations in one place, while facilitating collaborative approach that includes your whole team. 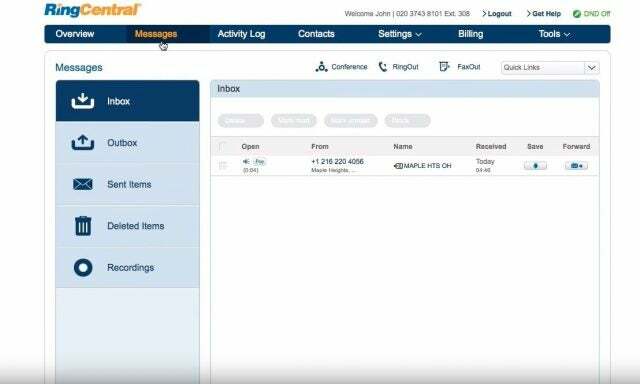 The RingCentral Collaborative Contact Center allows you to share files with customers, consult experts, and always makes sure a call or message goes where it needs to. Check out this video to get a better idea of how the feature can help your company. RingCentral representatives are available 24/7. As well as a dedicated support phone line, there is also a chat function available, and users can also used the dedicated, comprehensive FAQs for assistance. However, many reviewers have found it takes a long time to get someone on the phone, and issues are not always fixed to the satisfaction of users. RingCentral can cater to businesses from small to large, and their pricing is set to a sliding scale, depending on the size of the business and the package you are interested in. Fees are charged per user/per month, as is standard in the VoIP industry. Businesses can pay up front annually, for a discount, or pay as they go, monthly. Compared to other popular phone system providers, RingCentral is just on the more affordable side of average. Their basic plan at $19.99 per user per month is nearly the industry standard, and their premium package at $34.99 per user month is a bit less than the usual for such a robust phone system. However, many reviews showed that RingCentral’s contract agreements are a bit confusing, and have led to serious problems with renewed deals. Make sure you read the fine print before making a decision. The quickest way to get a bespoke quote for your company is to use our price comparison form today. NakedWines.com works with independent wine makers, and distributes their products throughout the U.S. and U.K. As a company of 200 employees spread over 2 continents, they needed a flexible, centralized phone system. RingCentral provided a single 1-800 number that connected callers with agents in both countries. They also integrated the new phone system with NakedWines.com’s existing CRM service, improving calling and dialing efficiency. RingCentral offers a wide range of services and products that can help your company embrace a cloud telephone and video system. With its comprehensive pricing plans, RingCentral can provide the right package for your business, whether it be large or small, and the features on offer will give you the tools to improve the communications of your company, both internally and for your customers. Compare leading phone suppliers to find the best deal for your business.